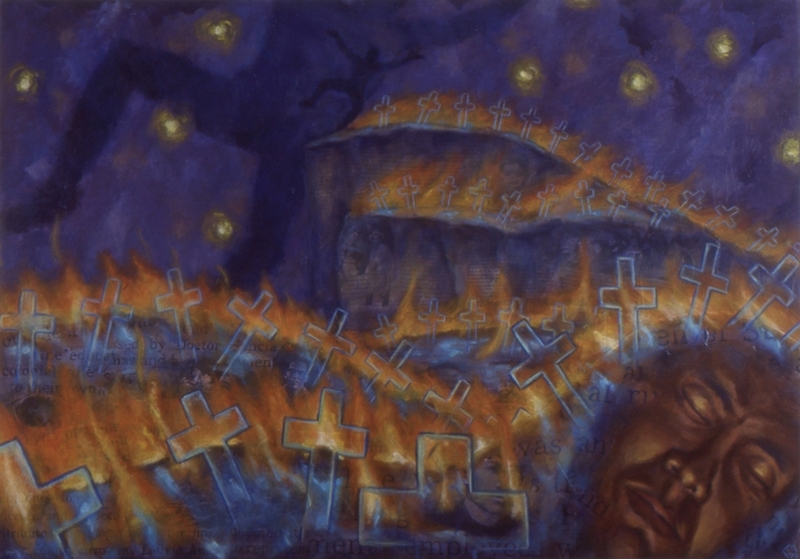 Manifest Deception was an exhibit commemorating the centennial of the Philippine-American War. It consisted of twenty paintings – ten about the war and ten about growing up Filipino-American as a distant result of the consequences. The exhibition was created with the help of the City of Oakland Cultural Arts Division.